New to the Alert Program®? Then, this webinar is a great way to start! 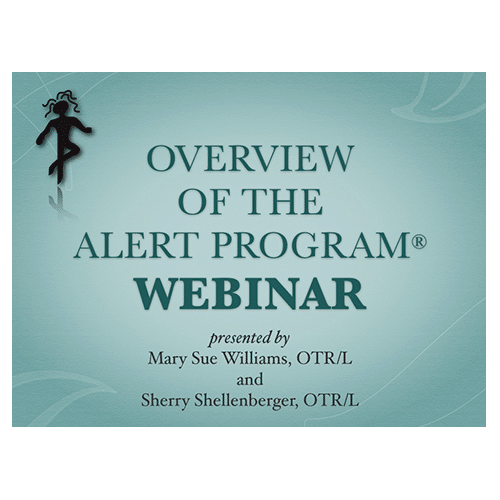 Learn the basics of self-regulation with Mary Sue Williams and Sherry Shellenberger, the co-authors of the Alert Program® products. This informative, engaging,and easy-to-digest, four segment, one-hour webinar is jam packed with examples and anecdotes sure to help you support self-regulation. This Overview of the Alert Program® Webinar and CEU Test are intended for anyone new to the Alert Program® (parents or family members as well as a variety of professionals including OTs, PTs, SLPs, teachers, and counselors). 1) Define self-regulation and its relationship to attention and learning. 2) Identify appropriate “heavy work” and sensorimotor activities for home, school, and therapy settings. 3) Name the five sensorimotor ways to change how alert one feels to obtain an optimal level of functioning. 2. A score of 70% or better on this multiple-choice test will be required to receive a Certificate of Completion. Successful completion is a minimum of 4 of 5 correct answers on the written test. You can repeat the test until you are successful (no additional charge). 3. 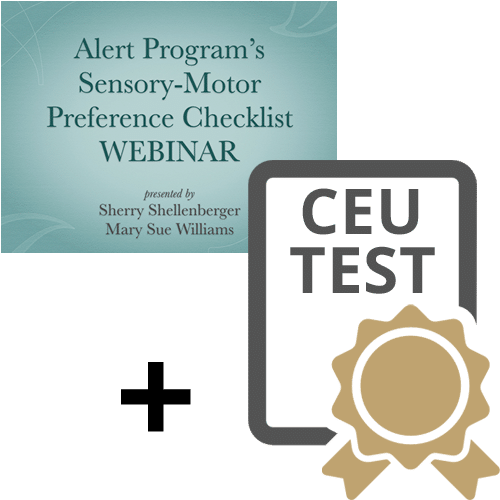 You will be notified of your test results by email and issued either a Certificate of Completion for 1.0 contact hour (0.1 AOTA CEU or 1.25 NBCOT PDUs) or an invitation to re-take the test again at no extra charge to you. Once TherapyWorks, Inc. receives your test, we will email you within two weeks. 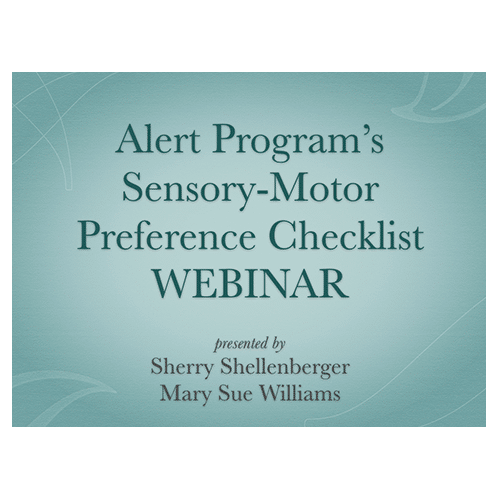 This 5 item multiple-choice test will confirm the knowledge that you’ve gained by listening to the Overview of the Alert Program® Webinar.